Everybody’s familiar with the concept of the “American Dream”, especially from the European perspective from two centuries ago, but what about the other way around ? That’s the unusual path followed by Benjamin B. Hotchkiss, a crafty American born in Watertown, Connecticut, who became a gunsmith in the 1850s until the end of the Secession war, when the government showed little interest for firearms. He moved to France and set up a munitions factory in Viviez, near Rodez, and then in Saint-Denis, near Paris, as Hotchkiss & Cie. He developed a marine autocannon to deal with torpedo boats known as the Hotchkiss gun, but died in 1897. His successor devised a reknowned air cooled, gas actuated infantry machine gun which was in widespread use among the Allies during WWI. 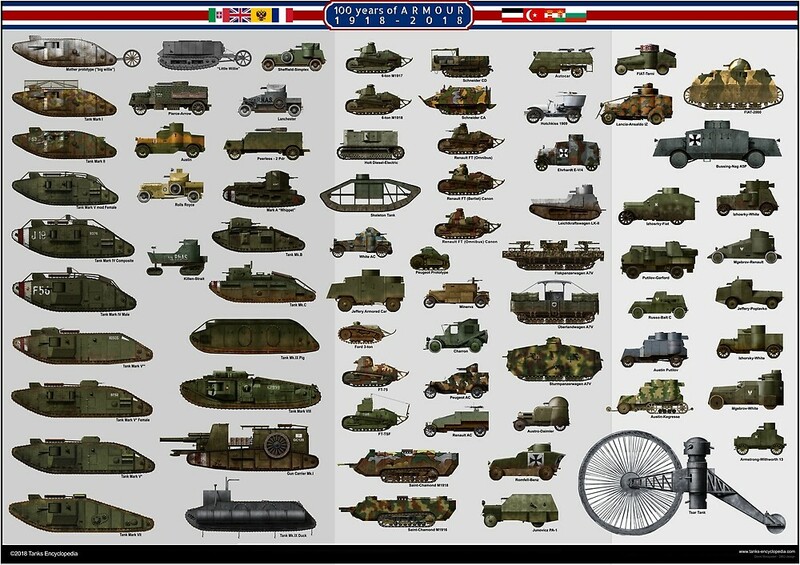 In the 1930s, he also designed the Hotchkiss H35 light tank. But, early on in 1903, the company also extended to the new business of carmaking with a 17 hp, then a six-cylinder model, which was the basis for its first and only armoured car, the model 1909. The model was clearly a follow-up of the Charron, Girardot et Voigt 1902, displayed at the Paris Exhibition as a concept car in December, 1902. The Army used the Panhard-Genty 1906 in Morocco against rebelling tribes and found it so useful, that it was followed by other conversions of the same style until 1911. 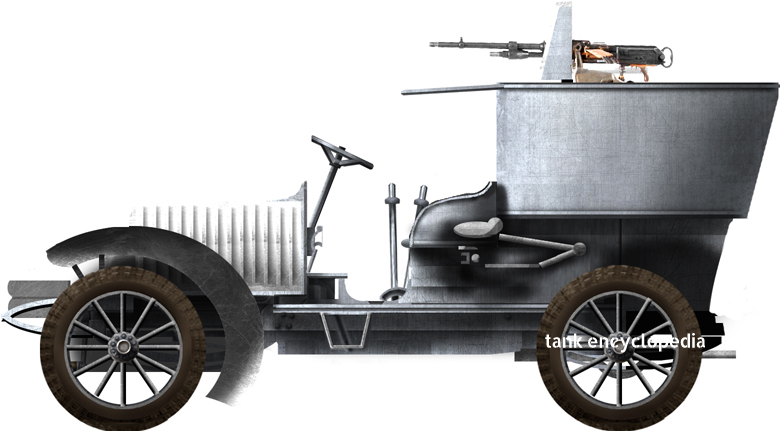 However, the Hotchkiss “Automitrailleuse” was specifically designed, from the ground-up, to be such a vehicle. The model was tested by the Army, but also remarked by the Turkish Sultan. 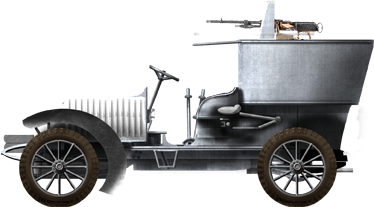 The Hotchkiss model 1909 was based on a standard touring car, powered by a 60 hp gasoline engine, partially armored with 1/4″ (6 mm) thick plates, mostly around the rear compartment, protecting the machine-gunner. This was a kind of “bath-tub” arrangement installed over the rear sedan seats, which protected only the high-up gunner. Access was granted by side doors. The driver and co-driver were woefully exposed to enemy fire, and it is dubious that the engine itself was protected in any way. There was an extension of the platform over their heads, acting as a blast baffle and/or to protect against weather. The sole armament was a standard factory model 1909 7.9 mm (0.31 in) air-cooled Hotchkiss machine gun protected by a shield. It had a ground clearance estimated at 30.5 cm (12 in), and wheelbase of 3.65 m (144 in) for an estimated wheel tread of 1.65 m. It had a 3 speed forward, one reverse manual gearbox and liquid-cooled Hotchkiss 6-cyl 9.5 L gasoline engine, front-axle, chain drive. Crew comprised the driver, co-driver, machine-gunner and loader. The first vehicle delivered was demonstrated to the Army, tested, but no order followed. 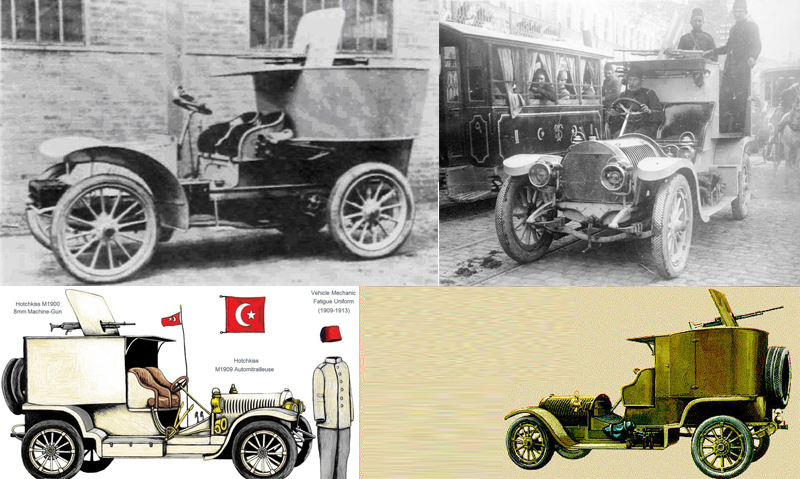 However, four were eventually built for the Sultan of Turkey Sultan Abdul Hamid II just before the Young Turk revolution. The irony was that these were captured prior to delivery to Istanbul and assisted in the overthrow of the government. 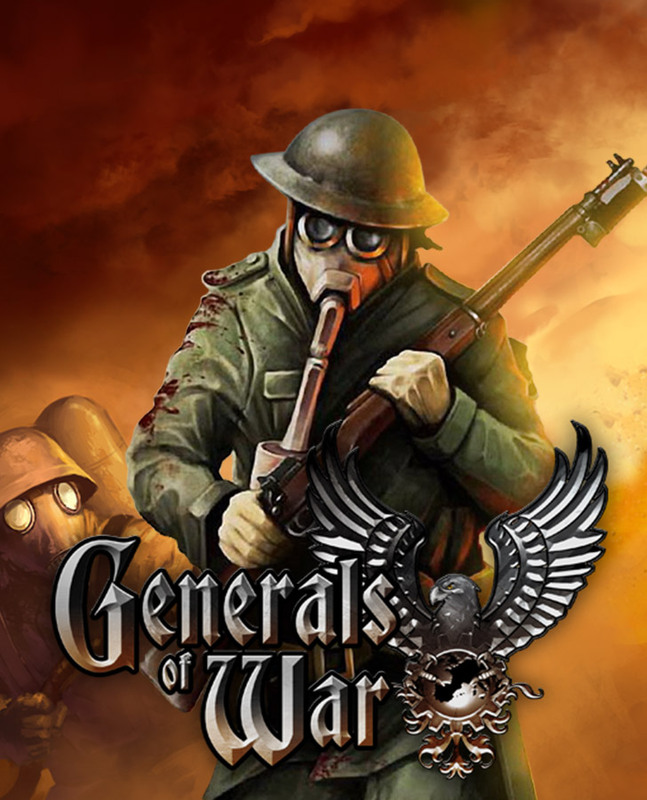 There is no record of their use in WW1 and they were kept stationed in Istanbul for the duration of the war. Other than this model, only German-origin armored cars were used according to the rare photos. The Danish government tested, in the spring of 1917, the HtK46 armored car, which was based on the Hotchkiss 1909. It was quickly dismissed due to appalling cross-country performance and low-to-average road performance. It was so overloaded that it was difficult to drive anyway. The vehicle had full armor unlike previous models, and it was probably much too heavy for the original chassis. It was eventually destroyed in an accident in 1920 and discarded in 1923. Its only known specs were its engine, a 4-cylinder, 2.200 cm3 (134 cubic inches) with 4 speeds gearbox and 3 or 4 crewmembers. Illustration of the model in Turkish service, used for anti-riot duties. The probable color was white and not green, as it is sometimes illustrated. Various photo references of the model.